Hey Sirens! 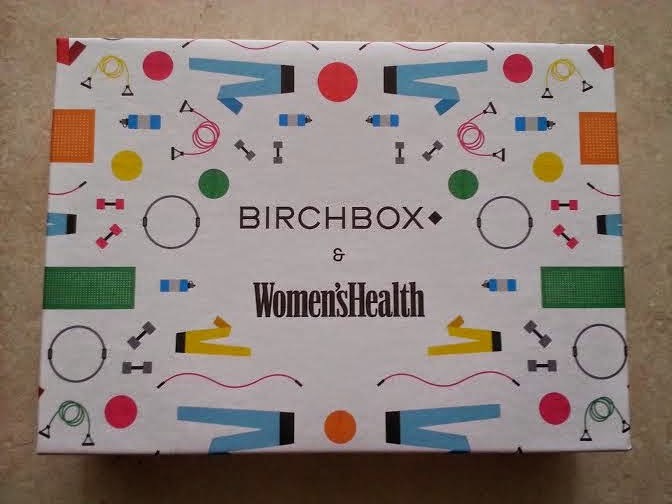 I really enjoyed this month's Birchbox and can't wait to share it with you! This month's theme is Power Up! A peak at this month's goodies! Deluxe Size (1.06 oz)-$6.46 Value! This is the best dry shampoo I've tried thus far! 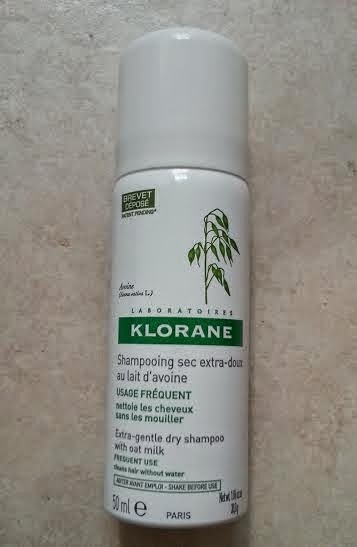 It is super easy to use and works well to clean my hair. This will be my new go to dry shampoo and I can't wait to try some of their other products! Deluxe Size (30 ml)-$2.88 Value! 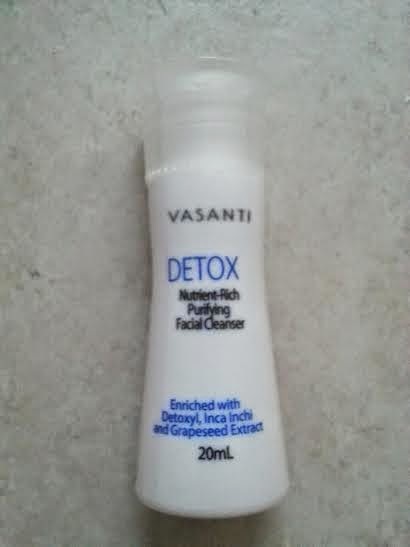 I enjoyed the Oxygenating Cream Moisturizer I received in my December Glossybox, so I was happy to get this in my box. 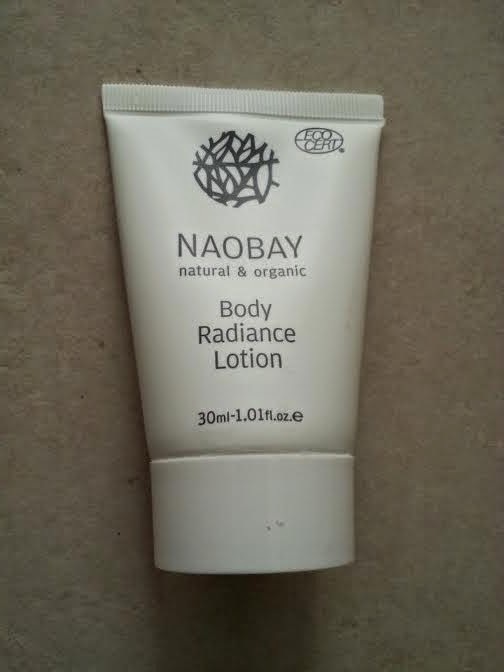 I liked the feel and scent of this lotion, and would like to continue to try other products from this brand. Deluxe Size (0.024 oz)-$4.40 Value! 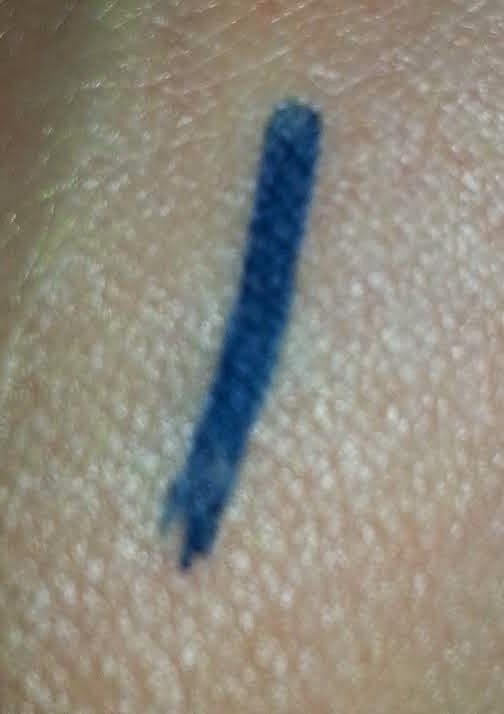 I was happy to get this navy blue eyeliner in my box because I just love Sumita Beauty! I have a full size of this pencil in Aruna Black, so I am excited to get the chance to try it in another color. Deluxe Size (20 ml)-$3.20 Value! This is the first time I've received a cleanser from Birchbox, so it was a nice change. 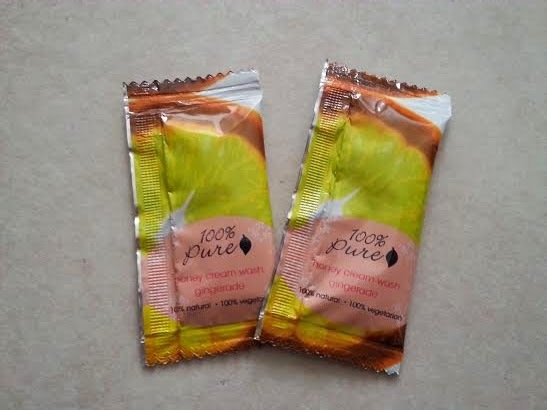 I haven't tried any products from this brand before, but I thought it worked well and I like the look of the packaging. I would be interested in trying out some of their other products in the future. Sample Size (2 x 0.067 fl oz)-$0.15 Value! Birchbox has sent me some skincare samples from this brand before, but I've never received anything bigger than foil packets. It would be nice to get a bigger sample size to really get test out some of their items. But from the two uses I got from these, I can say that I like the scent of this shower gel. Full Size (10 issues)-$9.99 Value! I think it's cool that Birchbox added this in as an extra bonus. It's awesome that you not only get one trial issue, but a whole year for free! Plus they don't sign you up for auto renewal, so you don't have to worry about cancelling if you don't want to continue your subscription! 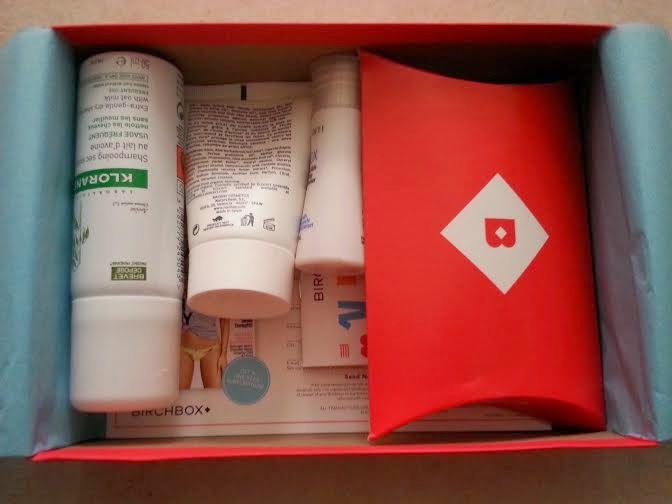 What did you think of this month's Birchbox? 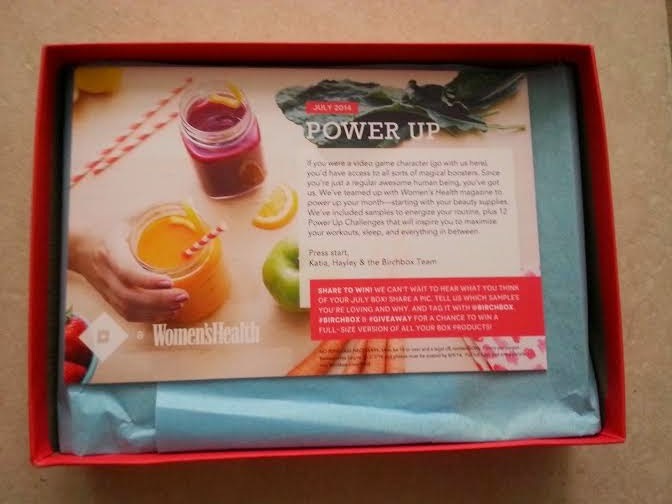 Do you read or receive Women's Health magazine? 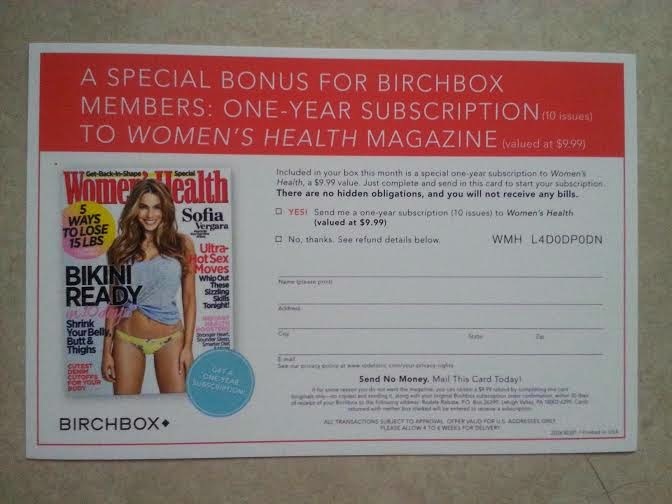 What kind of other special bonuses would you like to see Birchbox include? 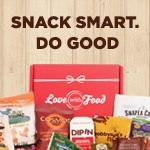 If you would like to sign up for Birchbox, I'd love it if you'd use my referral link!